Nginx is a web server which can also be used as a HTTP cache, load balancer and reverse proxy. This was first created by Igor Sysoev and released in 2004 under the terms of BSD like license. 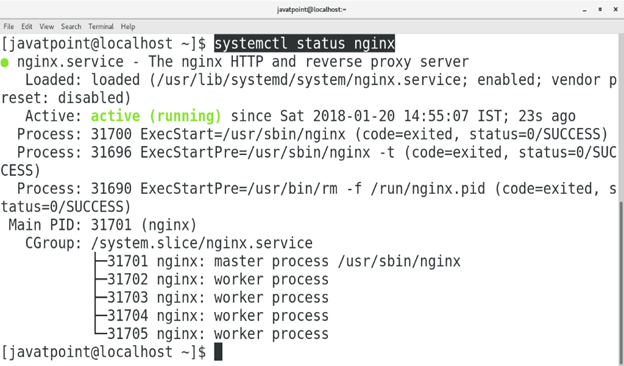 In this tutorial, we will learn the steps involved in the installation of Nginx on CentOS. Login as an administrator on terminal. 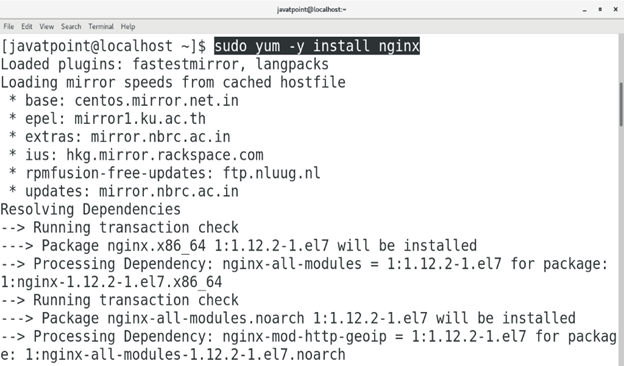 Execute the following command to install Nginx on CentOS. Execute the following command to enable nginx on boot. Execute the following command to start nginx. We can check the status of nginx service by just executing the following command. It shows the status active which indicates that Nginx is configured successfully on the system. We can also access nginx on browser by just typing the ip address of the system which is 127.0.0.1 in my case. 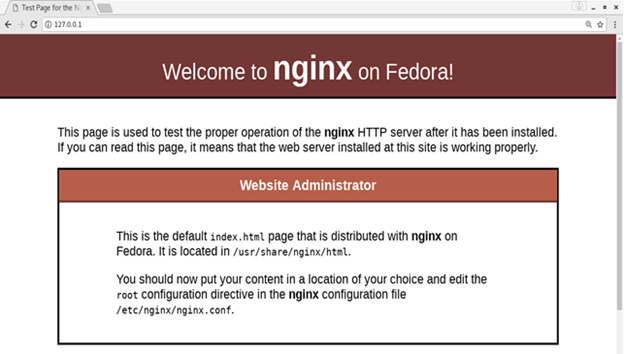 Hence, we have successfully installed and get started with Nginx.